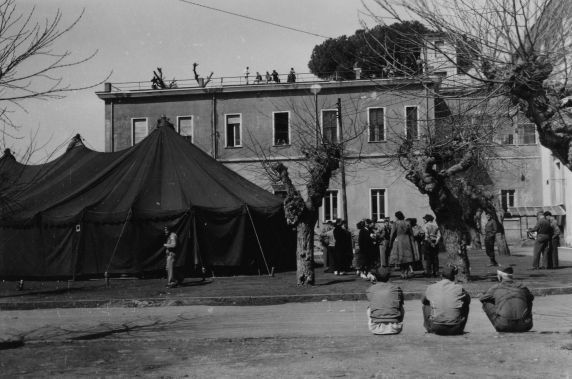 A group waits outside of the American Red Cross recreation tent at the 36th General Hospital for the pianist Capt. Beryl Rubinstein. In the background, one of the hospital buildings is in view with patients and staff relaxing on the roof sundeck.